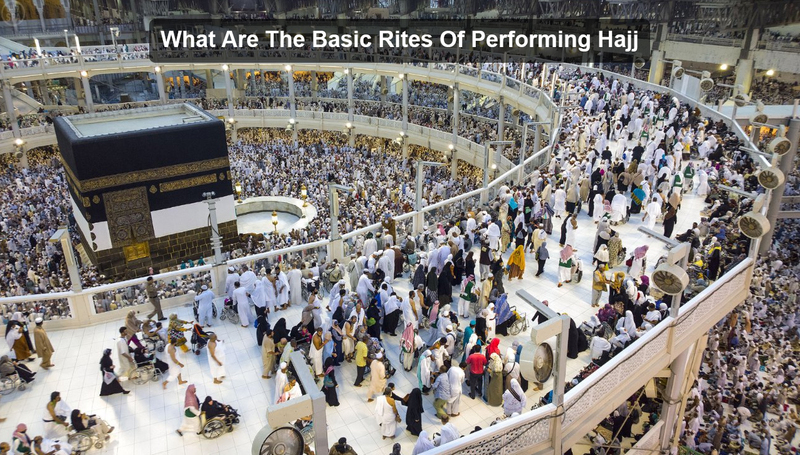 What Are The Basic Rites Of Performing Hajj? Muslim expected to perform Hajj once in their lifetime. It is considered as the annual pilgrimage toward Mecca. Hajj came from the Arabic word that means “intended toward huge journey”. It’s a mandatory journey means every Muslim can perform without any restriction, whether it is young or old. Those individuals who performed Hajj must have a physical or financial fitness. The Hajj obligations are continues for five days, started from 8 of Dhul-al-Hajjah to 12th of Dhu-al-Hijjah. Every year, Hajj date change according to Gregorian calendar but it remains same according to the Islamic calendar. It is expected that the Hajj started from 21 to 22 August 2019. Every year, throughout the world, 2-3 millions of peoples come to Mecca for performing Hajj duties. However, it is expected that this gathering is the largest gathering on the planet. We as a Muslim, follow the order of ALLAH. In Quran, it is stated that Hazrat Ibrahim (R.A) ordered his wife, to leave his son (Ismail) alone for searching the water in the ancient desert of Mecca. Hazrat Ibrahim’s wife Hajar runs around the hill of Safa and Marwa in search of water by several times. When Hajr return to his son, she saw Ismail scratching the surface with his leg and then a water fountain sprang suddenly. This water is known as the wall of Zamzam, which is located in the Masjid-al-Haram. One day ALLAH order to Hazrat Ibrahim, to slaughtered Ibrahim, when he follows the order while closed her eyes, suddenly an animal appear at this place and Hazrat Jibrail come and say that ALLAH really happy that you obey the order, now slaughtered this animal for the sake of ALLAH. This was the beginning of Hajj. At the time of performing Hajj, it is compulsory to drink Zamzam water. What Are The Basic Hajj Rites? When all Hajj pilgrim enters in the Holy world that is Mecca it is compulsory to wear Ihram instead of other clothes. Ihram shows the state of purity. It’s a two white cloth, which is specifically design for a male. Hajj pilgrims walk together around Khana Kaaba and complete seven rounds like clockwise in Masjid-ul-Haram. All pilgrims run seven times, between the two mountain of Safa and Marwa hills, where our beloved Hazrat Muhammad (PBUH) stands in vigil for their last sermons. After the Arafat, Hajj pilgrims move forward to Muzdalifah and Mina just for throwing the stones ritual in the three big walls, which is assumed as the Devil house. On the 10th of Dhul-al-Hijjah Muslim celebrates Eid, which reminds the sacrifice of Hazrat Ibrahim (R.A). If you want the best Hajj Packages then contact only Eiman Travels, as they provide the best source, which satisfied client’s needs.